President Bush waves as he arrives at the White House following a seven-day trip to Europe and the Middle East. 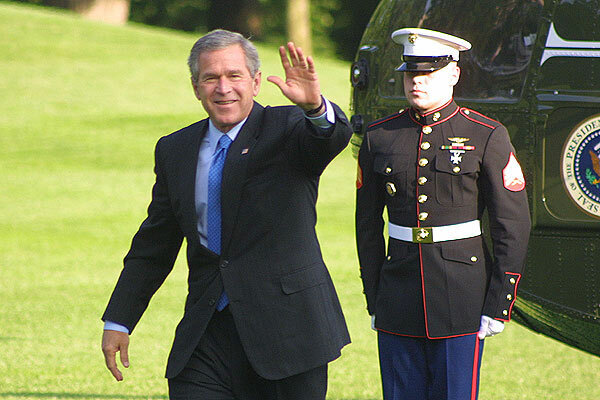 June 5, 2003 - President Bush waves as he arrives at the White House following a seven-day trip to Europe and the Middle East. President Bush insisted again on Thursday that the war to rid Iraq of destructive weapons was justified, and he said the truth about Saddam Hussein's ability to create and use deadly germs and bombs would come in time.